Diann is Managing Director of Feldman & Associates, a leading consultancy in organisational enrichment and change leadership, people development, learning systems and career navigation. Diann is an experienced keynote speaker, facilitator, strategist, organisational development consultant and executive coach. Speaking engagements have been in Australia, USA, Asia, Europe and South America. 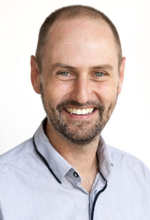 Adam is a Psychologist, Senior Minister (St Bartholomew's Toowoomba), and co-founder of Beanhunter. 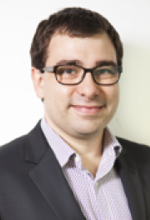 His consulting experience includes clients in Australia, Europe, UK, Canada, Singapore, and China - particularly in the areas of organisational development, psychometrics, HR transformation, and statistical analysis. Adam holds a Bachelor of Behavioural Science, Bachelor of Psychology (Honours), Bachelor of Theology, Masters of Organisational Psychology, and MA Theology & Religion (Durham, UK). Adam and his wife Bettrys have one daughter Amelia. John is the Founding Director of SEED, a new ministry that develops innovative and effective models for Christian social engagement and help organisations, churches and individuals apply those models. Until recently John was the National Director of Micah Challenge Australia, a position he held for 6 years. John lives in Sydney with his beautiful wife Allie and three daughters. He loves to spend time with his girls and is known to occasionally relive his glory days on the sporting field. He’s got a Masters in Theology from Regent College in Canada. He’s interested in the role Christians play in creating tangible expressions of the kingdom of God by living out their identity as followers of Jesus in public and political spaces. He loves to teach and mentor leaders and desires to see more and more Christians taking on justice, mercy and humility (Micah 6:8) as a way of life. 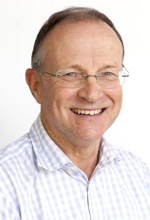 Keith has degrees in Economics and Law and is a practicising lawyer with over thirty seven years’ experience. He is currently a partner of Millens. He predominately serves clients in the property, commercial sector, small to medium businesses and family business. He is a regular facilitator for the Australian Institute of Company Directors on the topic of Corporate Governance. Keith was the first lawyer appointed to the Pharmacy Board of Victoria by the Victorian Government. He has been a director of other not for profit organisations in the religious and educational sectors. Keith and his wife have two adult children and three grandchildren. Bishop Edwards worked as a marketing executive in the finance and banking sector before studying at Moore College and entering the ministry in 1994. 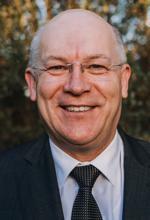 He has served at Quakers Hill, Engadine parish, Holy Trinity Adelaide and led a team of people as the founding minister of Holy Trinity Adelaide Hills. He later pastored an Anglican Church in Belgium and was chairman of its English speaking school as well as chairman of European office of African Enterprise and chaplain to the board of Retrak, a mission to homeless children. On returning to Australia, he took up the position of Director of Mission at Anglican Retirement Villages in Sydney. Bishop Edwards is married to Belinda. Their daughter and son-in-law are youth pastors in Sweden and their son Tim works in pastoral care to the elderly. 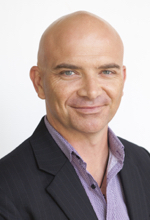 Tim commenced his teaching career in England then continued in Australia at Knox Grammar. 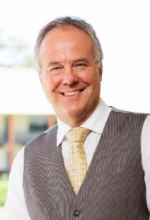 Thereafter, Tim was appointed Principal of St Leonard’s College then in 1997, accepted an invitation to become headmaster of Australia’s oldest independent school, The King’s School, Parramatta where he served for nearly 20 years before retiring in 2017. The recipient of an Australian Government – Excellence as a Headmaster Award and an OAM for services to education, Tim has also been a frequent contributor to educational debate with many radio and television appearances. Tim has been instrumental in establishing a number of educational organisations and has served in many Christian leadership roles including ten years as the National Chairman of ‘Overseas Missionary Fellowship’. Tim has authored a dozen books and acts as an educational consultant and conference speaker. He is married to Jane and they have three children and seven grandchildren. 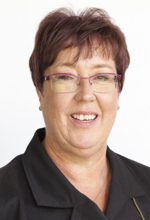 Anna is the Fundraising Director at the Crusader Union of Australia, an inter-denominational Christian youth organisation which shares the Gospel with over 100,000 kids each year through camping and school based programs. 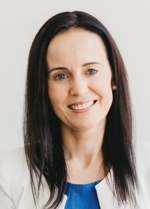 Anna has a B.Com in Marketing and Human Resource Management from UNSW and worked as a Brand Manager at Kimberley Clark before leaving the commercial world in 1999 to join the Christian NFP sector. Over her career Anna has developed an extensive knowledge of fundraising strategy, implementation and practice which has raised over $50 million for kingdom work. In 2008 she was awarded the prestigious “Australasian Fundraiser of the Year” award. Anna actively serves on the Sydney Prayer Breakfast Organising Committee and attends St Paul’s Anglican Church, Castle Hill with her husband Cameron.